VivaLnk, Inc. CEO Jiang Li has both passion and extensive experience in bringing innovative technology and products into the marketplace. He has held various senior management positions in both large high tech organizations and startup companies. Prior to joining VivaLnk, he was responsible for new product and technology development as the VP of engineering in Kovio and Thinfilm Electronics, leading printed electronics companies. Prior to that, he worked at AMD and the joint venture between AMD/Fujitsu, Spansion. As the VP of product engineering in Spansion, Jiang managed the major new product launches in Spansion. 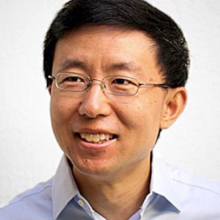 Jiang holds a Ph.D. degree from the University of Wisconsin-Madison, and a bachelorâ€™s degree from Zhejiang University in China.